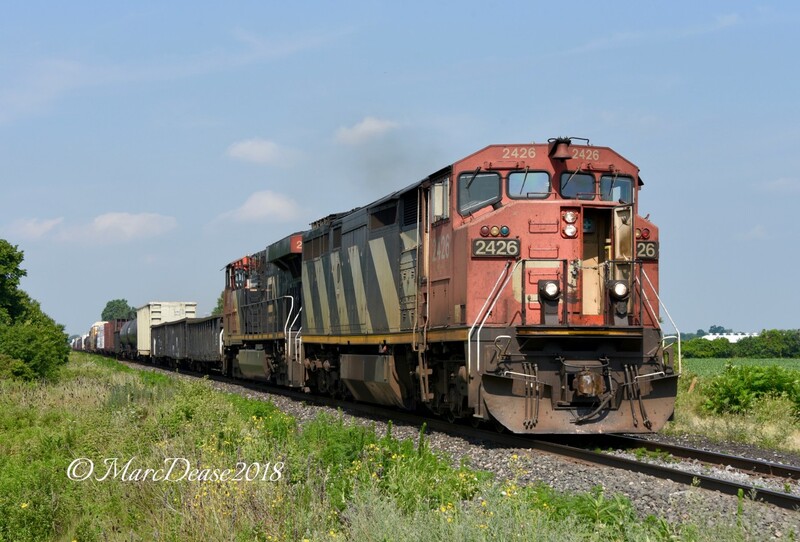 Railpictures.ca - Marc Dease Photo: With only 3500 feet of train CN 2426 flies by Fairweather Road heading east back to London. | Railpictures.ca – Canadian Railway Photography – photographie ferroviaire Canadienne. Caption: With only 3500 feet of train CN 2426 flies by Fairweather Road heading east back to London. I see the crew has the AC (front door open) on full blast on this day. It was one of the only ways to stay reasonably cool when we had unit without AC in the lead. I bet they wished they had the trailing unit in the lead.